"Patches of Winter" created by Cottage Creek Quilts. SO cute made up!! Hard to find Retired pattern. 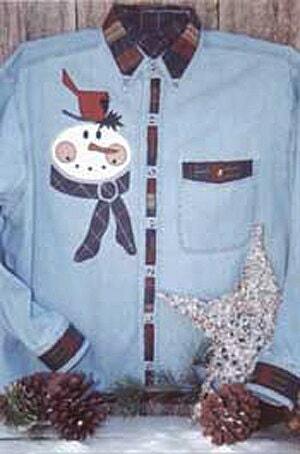 When the snow flies let this frosty snowman decorate your shirt and keep you cozy. I used all flannel and homespun’s. Have fun choosing fabric!